Sorry, Sorry, I am not only fashionably late but also embarrassingly late to wish you all a Shubho Bijoya. 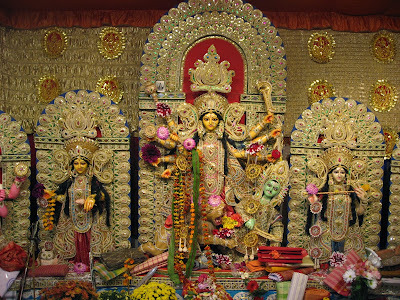 Though ideally one can extend the Shubho Bijoya greetings for a fortnight after Durga Pujo, all the way until Kali Pujo or Diwali, we always rushed around the myriad relatives' home trying to finish the pronams by Lokkhi Pujo, the day of the first full moon after Durga Pujo. There were always a few people who came after Lokkhi pujo to finish the Bijoya formalities and Thama, my grandmother, had very little regard for them. She usually dismissed them as "ajkalkar chele pule" aka the modern generation which in her language meant people with little respect for tradition. "Eto dine shomoy holo ? ", she would say in a disenchanted voice and utter a cursory blessing making very clear her displeasure. Not that her criticism or grumbling affected the latecomers in any way, except that they were given much inferior snacks as compared to those who had come in early. The quality of the snacks in most homes was inversely proportional to the number of days that had passed since the day of Dashami and this was one of the important reasons why we tried to finish off the pronam formalities early. I think the latecomers were not really fond of food or at least not what was served on "Bijoya", mainly variety of sweets and nimki and risked being late. Sometimes however the wind blew in favor of the procrastinators. If Thama happened to be in the Puja room or had retired early to bed, my Mother and aunt would ensure that luchis were fried and sweets were bought from the Sweet store, half a block away to feed the guest. The important news is that we have a winner from the last draw. A certain "RRDutta" whose real name I am unaware of and who left this comment "To make an Indian lunch for my single colleague who has just joined the workforce and doesn't seem to think he has enough money to buy lunch for himself everyday. ", was the one picked by random.org. Now, I have sent her an e-mail but am yet to get a reply. Maybe my mail went into the spam folder or something. If I don't hear from her in the next two days, the prize will go to the second winner picked which is "Mausumi Ray" whose random act of kindness is "My random act of kindness was and will be donating money to CRY to sponsor food, education etc. for kids." The far more important news is we have another Giveaway. yehhh. This time I am giving away Devapriya Roy's latest book "The Weightloss Club". Now, don't get mislead by the title. This is not a book to lead you through a guilt path while you are devouring a pound of Diwali laddos. "The Weight Loss Club" has nothing to do with weight loss unless you are reading it while running on the tread mill, which I suggest you better not do. For this book, is to be read in a proper setting, by the window, with a cup of tea, cell phone switched off, some hot off the fryer pakoris by the side. It has been my great pleasure, to know the residents of the Nancy housing colony better as they go about their daily life spiked with love, anxieties, pettiness, joys and sorrows and to be a part of their journey with a touch of mystic and now you have a chance to win your copy. 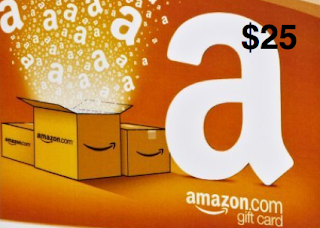 I will select two winners for this giveaway. 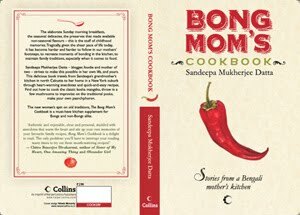 To win your copy tell me, if you have ever lived in a housing colony, then what was the best food memory or any other memory you carry from there. You have published 2 books, writing your 3rd and as I gather from the author's page in your book "Devapriya Roy is pursuing a PhD on the Natyashastra (at least, that is what she says when asked what she does). Once upon a time, she was the Keo Karpin girl." Tell us then who you really are or what defines you? Oh dear. This is definitely the toughest question. If I were to be entirely honest. I think, before all else, I am a reader. And I am a romantic. I mean, I have written the novels, I am working on the third book which has gouged out a large chunk of my twenties, but to me it still seems that the writerliness is incidental; an extension of the two things above – being a reader and a romantic. And also, being not very good at much else. I am hopelessly bad at management and stuff. I write because I cannot not write – there is that deep internal compulsion – but I am also aware of the uncertainties of writing. But one can always read; that world is abiding. And perhaps because I see the world filtered through a novelist’s narrative (a very dangerous thing, I admit) I am often shocked and amused at the moral high ground that is claimed by our intellectuals. You know? I mean, if we were reading about them as characters in good novels, there would be so many other details about them, defining them, that the moral high ground would have a deeper perspective. That is not the case, of course, in contemporary discourse. So, strange as it sounds, in a manner of speaking then, I think I am defined by books and by narratives. 2. Your first book was "The Vague Woman's Handbook". A charming read if I might add. What made you throw Keo Karpin aside and write it? Was there a story brewing inside you for long? The thing about the Keo Karpin business was that it was a one-off. I mean I could never really have moved to Bombay and followed up on it and eaten carrot sticks to become that person. I don’t think I am ambitious in that way. Instead, I got married on a whim and got a job as an editor. And that is when The Vague Woman’s Handbook happened. When I was younger, I always thought I would write The Book first. Yet another stab at the Great Indian Novel. Something that would take years and years to research. And basically never get written. Fortunately, I had a wise mentor. He told me to write something already; something closer to my life and impulses. And that was the finest piece of advice really. I was able to use all the autobiographical stuff in obvious ways first. So with The Weight Loss Club, these were characters I knew intimately. But none of them were from my own life. So that’s how The Vague Woman’s Handbook was written. It helped that I was no longer a student of literature. I had shifted to theatre and performance studies. I was now reading loads of popular fiction. But at the same time, I wanted to do things differently even within the realm of popular fiction. Mil might be a very young but rather acceptable chick lit heroine, a bit ditzy, but hers is not a quest for love. She has already found it. So, in a way, the Handbook begins where most chick-lit ends. Abhimanyu Mishra, with his eccentricities, idealism and poverty is not the ‘hero’ out of a typical chick lit either. Indira Sen is at least twenty years older than the usual best friend. And so on. 3. Tell us a little about the process from writing to publishing. Were you knocking at doors with a jhola and manuscript in hand or was it the other way round and publishers were pursuing you waving Guccis and Louis Vuittons? Luckily, I have been in the middle. The Handbook was commissioned on the basis of the first chapter and the proposal, so I was very fortunate. Did not have to knock doors with jhola and manuscript! It can be SO harrowing. However, I have never had publishers chasing me with Guccis or Louis Vuittons or more importantly Big Fat Advances. Sigh. I wonder if that will ever be. The only time I had someone from the publishing house chasing me was the editor of my second novel, Pradipta Sarkar, because she wanted the manuscript which had been delayed beyond belief. However, I must confess, my publisher Karthika does gift me many books. Better than bags, no? 4. Your second book The Weight Loss Club has an interesting set of characters and relations and an undertone of spirituality. Did you find it more difficult to write this book? From a technical point of view, how did you manage to manipulate all these characters so seamlessly like an expert puppeteer? I mean at any point would you get confused between Monalisa and Meera? 5. There was a time when we read books because so-and-so said it was terrific and so-and-so's neighbor did not sleep all night to finish it. There were no videos or book advertisements as far as I remember. We just discovered books or books found us. On your blog at IBN Live you recently wrote couple of posts about the prolific young writers of India who come equipped with sharp marketing skills. Do you think "a lack of it" hampers your book sale in any way? Certainly one’s willingness to be out there on social media, connecting and networking, and one’s fungibility in marketing oneself through traditional media are very important factors in books selling. In my case, my grapes-are-sourish blog posts are based truthfully – and bitterly – on what I feel about this conundrum. Some people have fantastic selling skills. They can sell refrigerators to Eskimos. These writers fall in the first category. They are building their own refrigerators now. But it is also true that they are finding new readers too. However, there are some people who can build excellent refrigerators, sustainable refrigerators, hell, they might build talking refrigerators but not be able to sell them to a Delhi consumer. So that is why they need others to do that for them. But unfortunately, the world needs refrigerators more than books it seems. Publishing houses do not operate on margins that will invest in fantastic and sustained marketing for new authors. Their large-scale marketing efforts are earmarked for the Big Names. Because the marketing budgets for books are based on the print-runs. So in a way, the Bengali proverb ‘tela maathaay tel’ is entirely accurate in the publishing context. Now, thanks to the example set by these clever MBA authors, the publishing houses also expect the authors to do the marketing themselves if they want to really sell their books. My problem with this is that it directly dilutes the culture of writing. Time being limited, you can only spend so much of it to improve yourself as a writer, through reading and writing, or you can think up marketing strategies and shooting videos and jumping through hoops in the same time. It’s like telling a serious singer to learn the tango to star in their music videos or telling sportspeople to attend acting classes to perform better in their ads. All in the spirit of very good business sense. But it means that those without business sense will remain minor. Nothing wrong with that. But it is important to embrace this. 6. What keeps you ticking and writing? I think it is the world of ideas and books that keeps me writing; my husband who keeps me ticking. And of course, the sense of larger failure that one feels growing up and engaging with reality in a country like India, a young country but with so much to be done, that also contributes to perseverance. You know? It comes from that mishmash – failure and hope – hope and failure. It is fun making menus when you don't have to cook them. Of course it is more fun when you also get to eat them. And at times it is also fun to cook them. 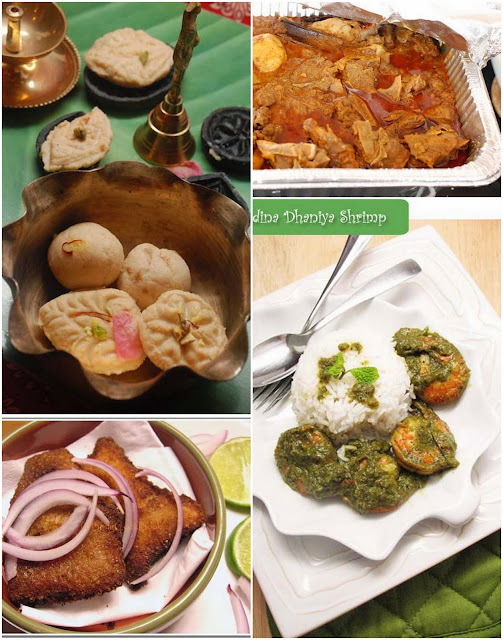 But today when I decided to draw up menus for the three days of Pujo, it was with a feeling of liberation and lightheartedness, the kind that comes with "thinking of doing fanciful things" without actually doing any. Of course there are people who get no such feeling from "thinking and not doing" but fortunately I don't belong there. I am the one who "thinks-fancy-worries-a-lot-and-does-nothing". That gives me peace. Amen. You, my dear friend, are very welcome to cook any or multiple of these to make the three days of Durga Pujo isspecial.You can also choose to not cook and have an eat out session instead. Makes it as special. Wish you all joy, peace and happiness of the season and don't forget the giveaway in my last post. Devapriya Roy; famous author, Keo-karpin girl, scholar and lovely lovely person is also doing a giveaway of two of my books on her Heat and Dust project page. Statistically your chance of winning now is more. This post was to be written on Mahalaya. But wasn't. That does not take away the joy from this post. We are still hanging around Tritiya, the 3rd day of Navratri, which I think is a good time to say what I want to say. Which is that I wanted to talk about this guy. I live in a bubble and had not heard of Nipun Mehta until his recent speech at Harker's. His motto in life "to live simply, love purely, and give fearlessly" , seems to be so simple that you might think, "Yeah. So?" But then when you read about his "gift-economy" you might roll your eyes at his Utopian ideals and yet understand deep within that what he has done is not easy to pursue. Now, I really don't know the details beyond Wikipedia and his site of how he sustains himself in this mode and if he already has some kind of a support structure to do what he does. What I know is, I will never have the courage to do what he has done. And yet, I would love to. His idea of "doing a small act of kindness" and "paying-it-forward" is something that is probably imbibed in all of us but might be so deeply hidden that we don't get to show it everyday. This festive season, let us try to dig up that hidden gem and do just that. Small acts. Random nice acts. Anything to put a smile on the face of a stranger. You all have shown me enough kindness when you supported me from all corners of the world for my book. You reviewed, left comments, constructively criticized and spread the word. You bought copies of my book, gifted them and came back to tell me all about it. To a bystander it might all seem very natural and matter-of-fact. But for a first time author, you all showed me immense kindness. Now is my time to say "Thank You". If you want to play the "Pay-It-Forward" game, you are very welcome to spread your random act of kindness to people around you. 1. Leave a comment on this post. Mention your e-mail id and finish this statement "My random act of kindness was/will be _________"
2. If you don't want to finish the statement, that is okay too, just leave a comment and your e-mail id. 3. Tell your friends and get them to join too. 4. Giveaway closes on October 14th. 1. I will pick one random person from the ones who comment on this post. 4. I will also contribute $25 towards the charity selected by him/her. The contribution will be made under the winner's name and not mine. Note: The charity should be a registered one, non-religious and should be able to receive online payment. Hing er Kochuri and Alur Tarkari. 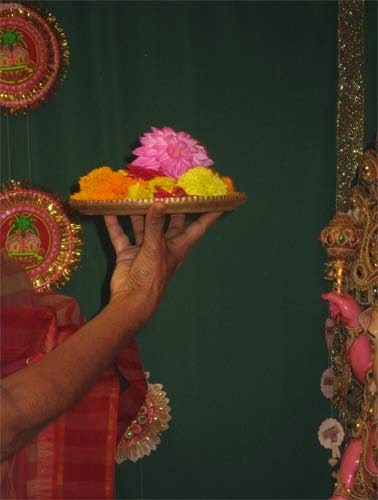 The HaatPakha i,e the Palm Leaf fans that you see in this picture are decorated by my Aunt. Aren't they gorgeous ? Durga Pujo is almost here. Mahalaya is this Friday. The gorgeous blue sky, the kaash phool, the lazy cotton clouds and the fragile shiuli with their orange stem and fragrant notes is making it all very real. As if! The only thing missing is the "Sharodiya PujoShonkhya "which my Ma brought along with her way back in August. Now that is what I call "blasphemy". You should not have a "PujoShonkhya" in summer. No, No. NO! In August you can only have trembling hopes for one or two. You have to wait and wait some more and then wait until Mahalaya to get your copy. For what is Pujo without its Pujo Shonkhyas. Many, many years ago when I was a timid kindergartner, still struggling to read fluent Bengali, my Ma had given me the best gift on Durga Pujo. She bought me a shiny, thick, colorful book. It was the Pujoshonkhya Anandomela, the annual number of the popular Bengali children’s magazine published every year during DurgaPujo. I don't know what spurred her in doing this when I could just about manage to read the "juktakhors", the Bengali conjugant, but that single book set me on a path of loving to read and read more. When I try to think of that Pujo, from a long time back, I do not have clear pictures of Durga or the Asur. 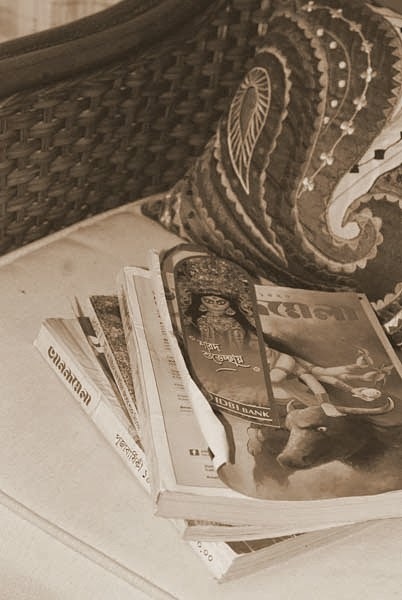 All I see is snippets of a well lit mandap reverberating with the beat of the Dhaak and a fat book with glossy cover plonked onto my satin frock's lap. Since that day, Pujo for me has always meant waiting for the PujoShonkhya. While others waited for the squeaky clean blue sky of Sharat, the swaying kaash phool or the latest cut in salwar kamiz that the local tailor would reveal, I waited for my annual Puja number of Anandomela. The full page advertisement announcing the book would adorn the pages of the biweekly magazine as early as April or May. Gradually the list of writers who would write for the year's number would be revealed. Satyajit Ray, Shirshendu, Sunil Ganguly…the list was rich and endless. Around end of August, my mother would book a copy for me along with a couple of Desh and Bartoman for herself, with the newspaper delivery guy. From early September, my heart would take a dip and start beating faster every time I heard the ringing bell of the newspaper guy further down the street. "Esheche? Is it here?" I would shout as he skillfully tossed the rolled newspaper on the front porch. As he rode away shaking his head in the crisp Sharat air, I would be dejected only to live in hope and again ask him the same question the next day. You see we lived in a small town far from Kolkata and the magazines usually arrived late there. So the "pujoshonkhya" published in Kolkata would take a while to make its appearance in our mofussil market and even then there was no certainty to that. And then one school morning, a week or two before Mahalaya, he would announce "Aaj Bikel e. Today afternoon". That day would be the most exciting one and I would rush home in the afternoon, my strides back home faster than others. Tossing my school shoes and book bag aside I would pick up the thick colorful book that sat on the center table. I held it close to my nose taking a deep whiff, I admired the nifty bookmark dangling on a thin lace and I quickly sneaked in to see the cartoon they had this year. That afternoon I refused the call of my friends for a round of hide and seek or playing tag on the terrace. Instead I went to bed, tucked two pillows under myself and carefully opened the thick Anandomela to be lost in the next adventure of Shontu ar Kakababu or the quirky inventions of Professor Shonku. 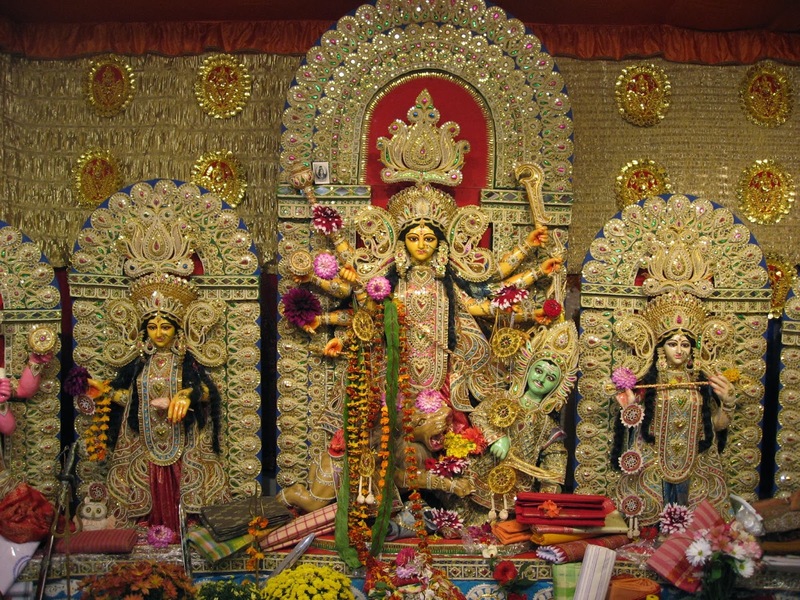 Waiting for Anandomela was probably the best part of my pujo and that is the only part I miss these days. I also miss the fact that my daughters will never experience that yearning and eventually the deluge of happiness. For waiting for something is much more exciting than finally getting it. Last weekend we made Hing er Kochuri at home. It seemed a very Pujo-isque thing to do. Also I am ashamed to say, it was my first time. Yes, I have sailed through half of my life without making a single Hing er Kochuri and the experience or rather the lack of it has not harmed me in anyway, as I see it. For, I have ate enough of them. And that is what really matters. The thing is, I don't "deep fry" much. I kind of have a mental block which makes me eat "deep-fried" goodness by the kilos as long as someone else is "deep-frying". The moment I see all that oil, something in my brain goes "Twang" and I hyperventilate. I was not always like this. There was a time when I loved deep frying. But at that time, I feared anything that had to do with "dough" unless of course it was "play-doh" which "Duh! is not dough". But lately and specifically after my "small organ where bile is stored" had to be removed, I don't seem to work well after a meal of "deep-fried goodness". Of course it would be okay, if I did so in moderation. But moderation is never the keyword when things are being dunked in hot oil. Usually I don't write up a recipe unless I have tried it a couple of times. But I figured that would make it 2016 until I put up this recipe. And really the recipe is perfect, it is the expertise which many of us need to gather to make stuff like this, that needs to be worked on. And we can all do that until 2016 strikes. Until then here is the recipe to follow. Soak 1 cup of Urad Dal/Kalai er Dal/Biulir Dal overnight in water. Yep. Shuddh nirmal paani aka H2O aka water. Then in the afternoon when other folks in the house ask you why is there some dal soaking in a container, it all comes back. **Ting**. You have to grind the Dal. To make Hing er Kochuri. With aid of very little water, make a coarse paste. Not very coarse but not smooth like a Vada batter either. Now you heat some mustard oil in a kadhai. I would suggest to use non-stick. Add the dal/lentil paste that you made. Add salt to taste and a pinch of sugar. Mix well. Now comes the part where you have to keep stirring like a maniac. Okay, maybe not maniac but still considerable stirring as the st***d paste tries to stick to the kadhai. You might also have to add some more oil in the process. Eventually your hard work will show some result. The paste will slowly start coming off from the sides and will get drier. It will also no longer taste or smell raw and will actually taste pretty good on eating. If it does not taste right, adjust the spices and keep stirring. Add little more Hing/Asafoetida if you feel the aroma is missing. But take heart, this whole process takes a mere 20-30 minutes of your lifetime and life gets better after this. 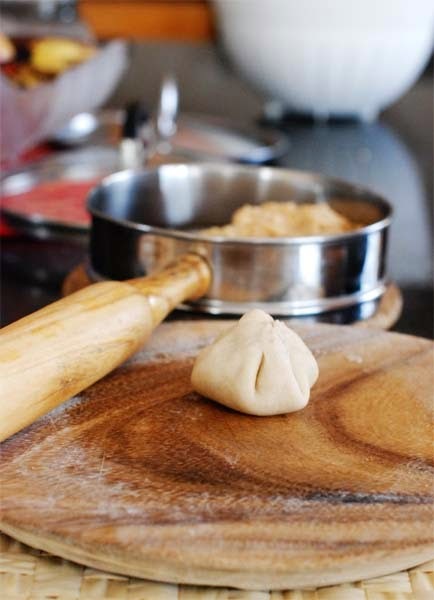 Once you have the stuffing, keep it aside and make the dough for the kochuri. You could also have made the dough earlier, while the dal was soaking and all but then such foresight is not my plus point. With your fingers rub the oil in the flour. Then gradually add warm water to knead the dough until the dough is soft. Cover the dough with a damp towel and let it rest. Note: My Mother later said that she also adds a sprinkle of hing to the dough for a more Hing-y flavor, so try that. Take a small ball of the dough. It might take 2-3 tries until you settle at the right size. The size should be like a gooseberry/amla. Roughly make about 20 dough balls out of this dough. Dip the tip of the ball in oil and then flatten it between your palm. Now roll it out to a 2" circle. Take a little of the stuffing and put it in the center. 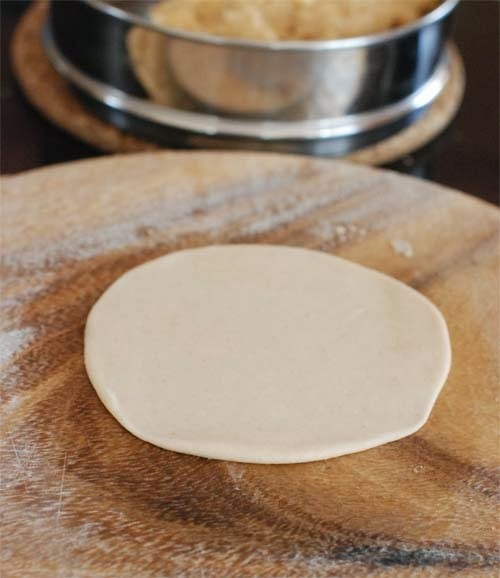 bunch up the sides of the dough disc now to form a purse like formation. With your fingers, close the top of the purse so that the stuffing does not come out. Flatten it between your palm and you are ready to roll. 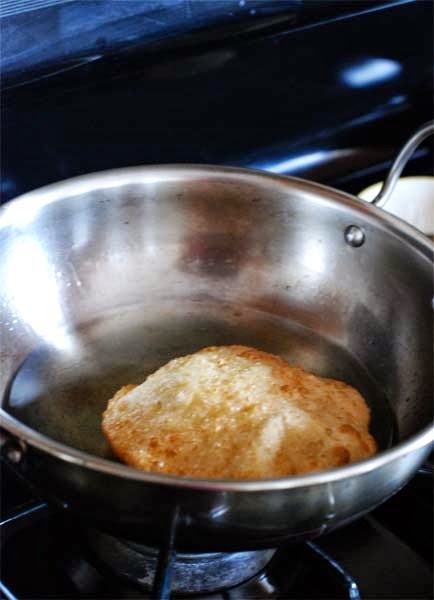 Heat enough oil for frying in a Kadhai. When the oil is hot, dip the rolled out disc to see if the oil bubbles. 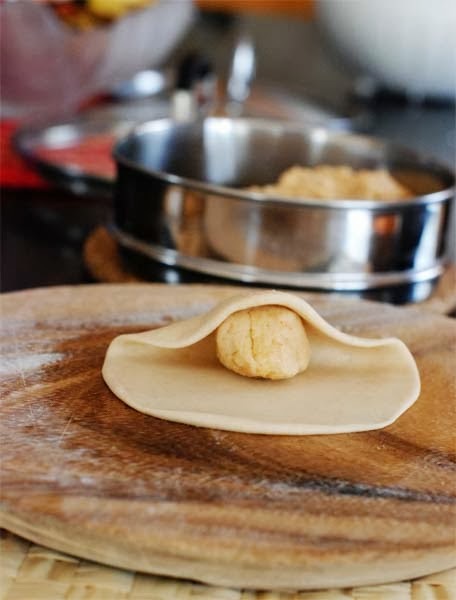 If it does, slowly release the disc in oil and press with a slotted spoon coaxing the kochuri to puff. Once the kochuri puffs up and takes a shad of pale brown, take it out and get ready for the next. Note: Now honestly, I might write all the theory but this step takes some practice and mine fails to puff up 40% of the time. So it is okay. Even if it does not puff up, it tastes really delicious. 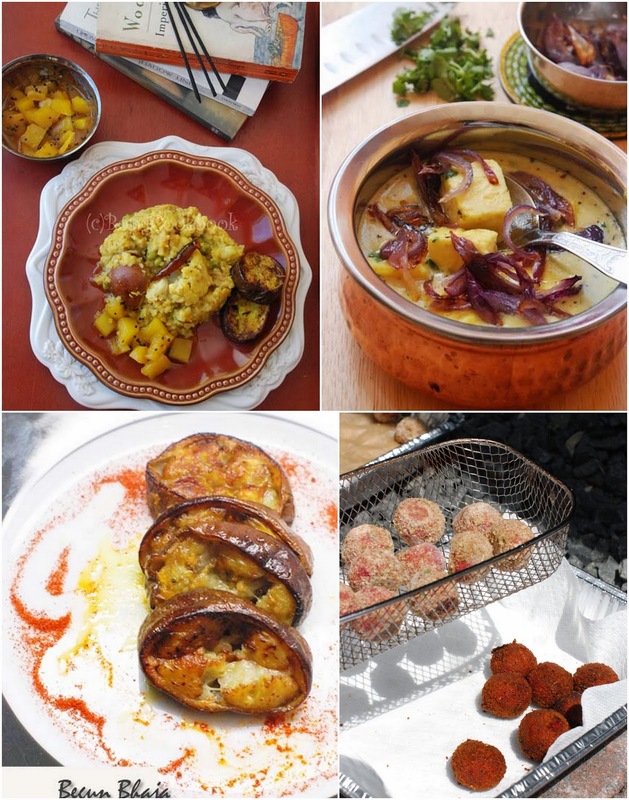 Kochuri needs some Alu Torkari and different homes make it different way. Another favorite to go with Kochuri is the Cholar dal, a hot favorite to be precise. 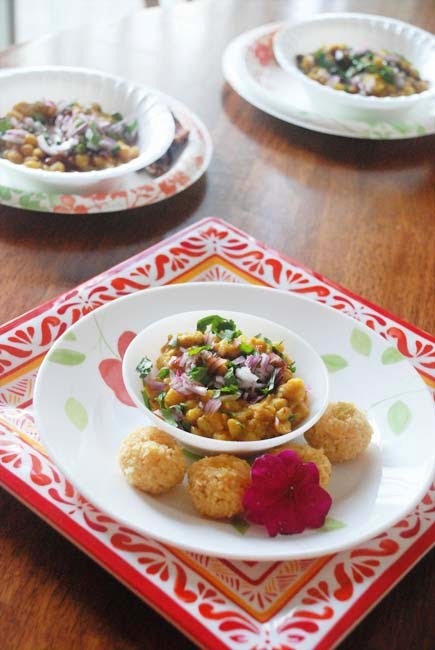 However, having made Anita's station aloo a couple of times, I have fallen in love with it and so that is what I made to go with these Kochuri. Chop 4-5 large potatoes in quarters and put to boil in the pressure cooker. We will peel them later. Once the potatoes are done and have cooled down, peel the jackets and crumble the potatoes by hand. Don't mash them, just gently crumble. Now heat some mustard oil in a Kadhai. Follow with a tbsp of grated ginger. Once the ginger sizzles, add 1 small chopped tomatoe and 5-6 broken green chillies. Fry till the tomatoes are all mushed up. Add 1 tbsp of Coriander powder, Turmeric powder, salt to taste and saute for a minute. Add the potatoes and then add about 2 cups of water. Stir around and let it come to a boil. Let it simmer for about say, 10 -12 minutes. In between break up some of the potatoes to give a thick texture to the gravy. Taste and adjust the spices. 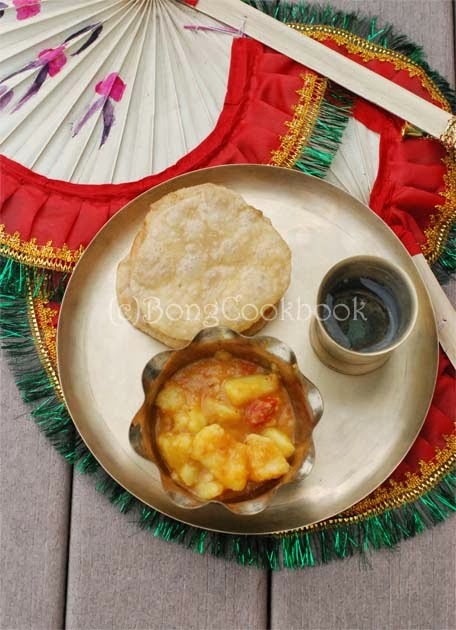 Both my daughters enjoyed the Hing er Kochuri and Torakri a lot and I think I have to make it soon, if only for then.